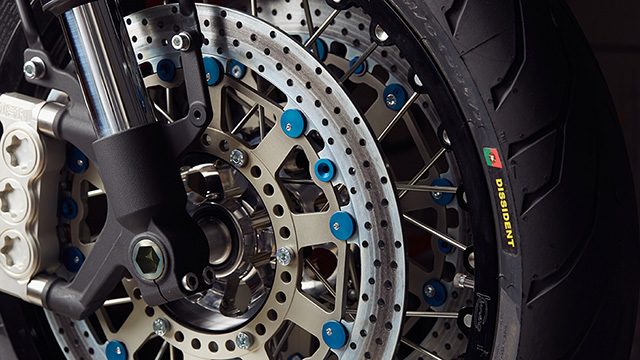 Portuguese bike makers roCkS! 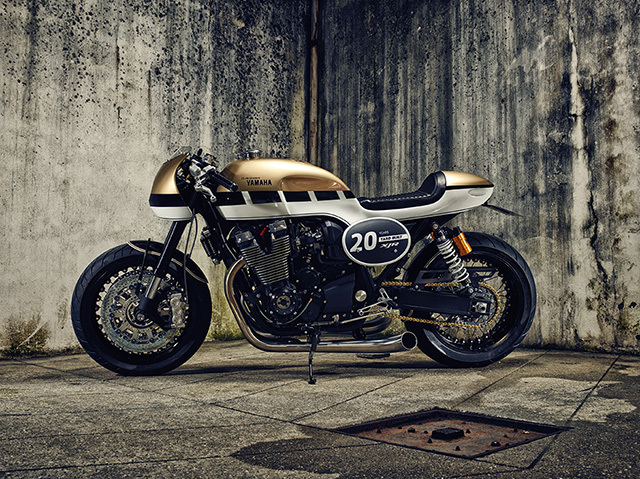 Bikes celebrate the 20th anniversary of a muscular twin wheel icon with a stunning café racer: the Yard Built XJR1300 "Dissident". 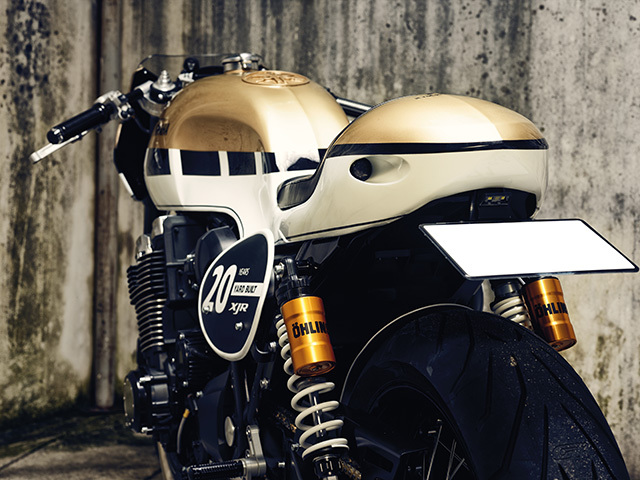 Osvaldo Coutinho and Alexandre Santos from 2013 work in their small workshop near Porto, Portugal, and have specialized in the "monocoque", the only block with tank, saddle and codon that is now their signature. 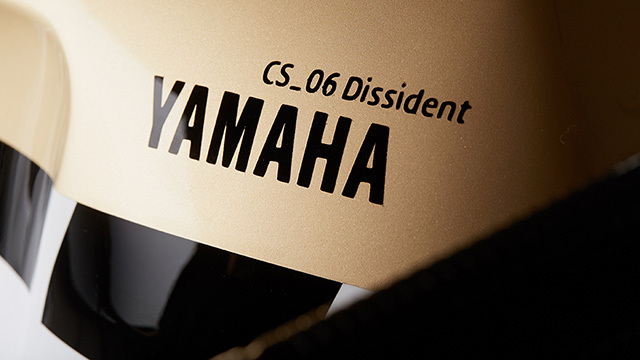 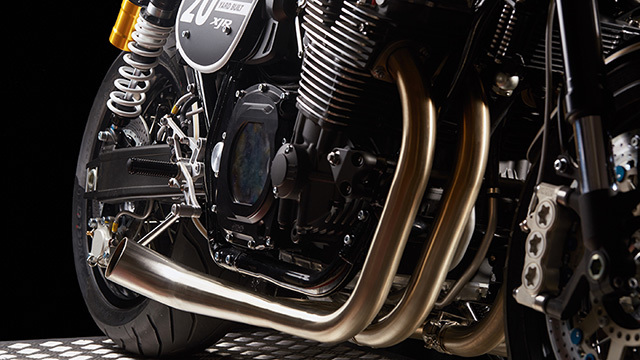 Yard Built XJR 1300 "Dissident" is no exception, with the fluid lines of the single piece of hand-molded metal that just goes behind the steering plate and connects with the codon. 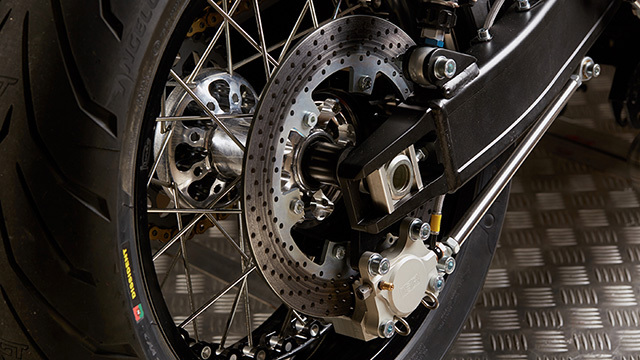 The "Dissident" braking system is ISR with front and friction brake pumps, front and rear pliers, monstrous 340 mm front and 267 mm rear pulleys, 6 piston pulleys and Hell Performance steel tubing for brakes and clutch. 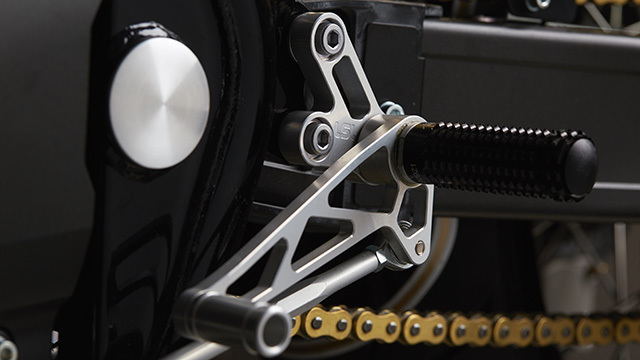 The YZF-R1 inverted fork has been modified to fit the XJR1300 Steering Jacket. 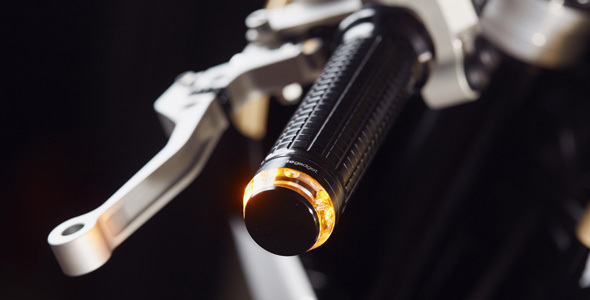 On the handlebars, with a clip-on café racer LSL, you will notice several accessories like Motogadget, aluminum knobs, M-Blaze arrows and Motoscope pro hi-tech instrumentation mounted on an aluminum support made from full and realized " in home". 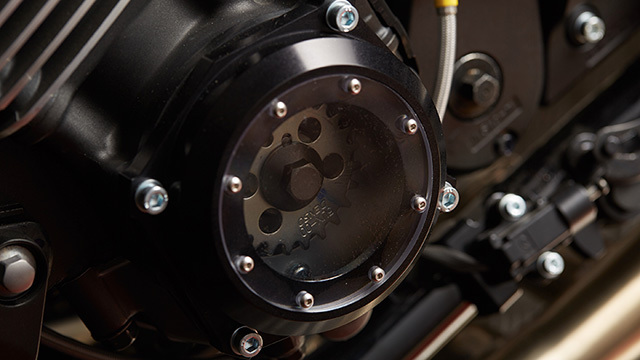 The aluminum engine cranks have a "window" in glass to see the heart of the beast. 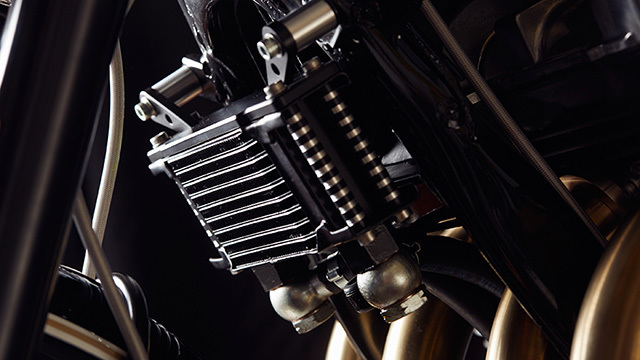 The compact, high performance oil radiator keeps everything under control and the 4 in 2 manual and stainless steel exhaust screams when climbing. 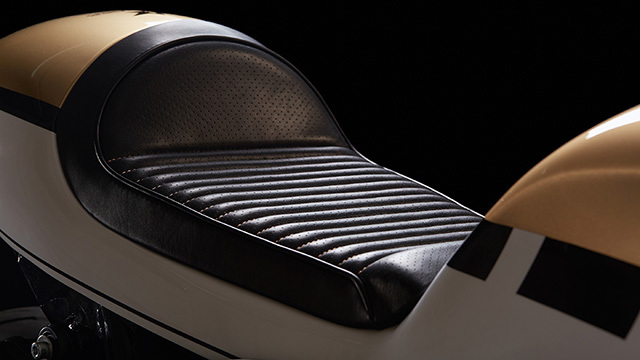 The rear seats with LSL footrests and the minimalist handmade cupola with integrated lighthouse were added. 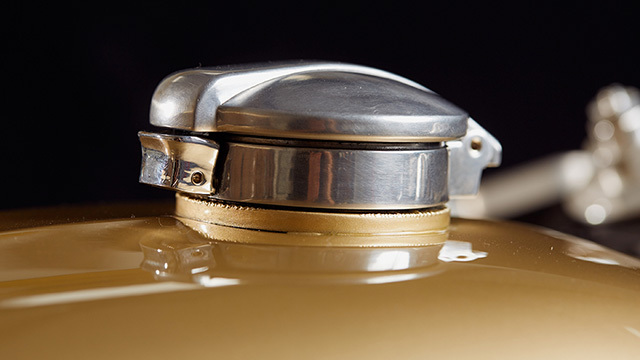 The "Monza" aluminum fuel plug is the final touch to the tank, and is completed by an emblem with the symbol of the three diapason. 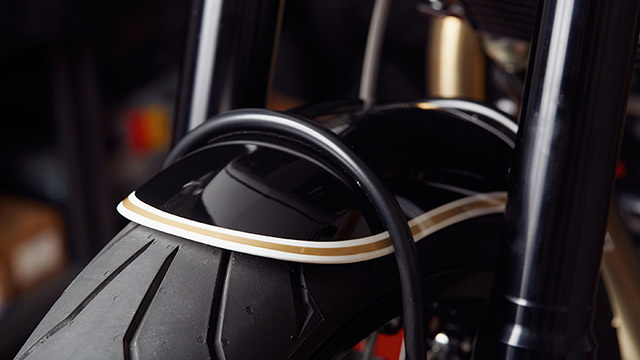 The leather saddle made by an artisan is integrated into the monocoque, and the magnificent 17 "Kineo tubeless tires with Pirelli angel tires make everything right. 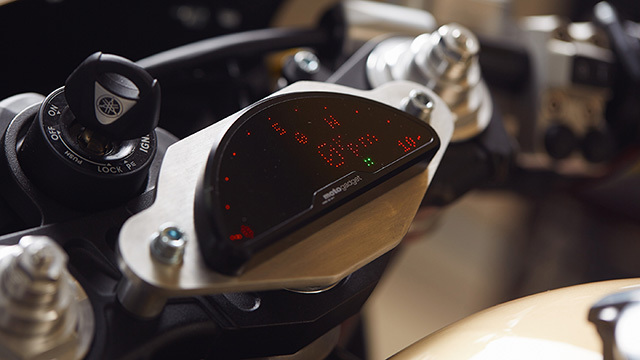 The stunning graphics are a tribute to the 20th anniversary of XJR, with a reinterpretation of the classic colors of the '80s and' 90s, such as pearl white, black and gold, as well as mythical speed blocks.